Summit Racing now carries McLeod's Musclecar 5 Five-Speed Transmission. The Musclecar 5 five-speed provides that all-important overdrive gear in a smaller, more compact package--the case is small enough to fit nicely inside most transmission tunnels, which virtually eliminates expensive or tricky modifications. Swapping an overdrive manual transmission into a classic hot rod or musclecar is a smart way to increase fuel economy and improve highway drivability. The Musclecar 5 features a 2.95 first and 0.63 fifth gear, ideally suited for street cars. An internal rail shifter delivers quick, smooth, actuate shifting, and the transmission uses the common GM 32-spline output shaft—identical to a GM TH-400. 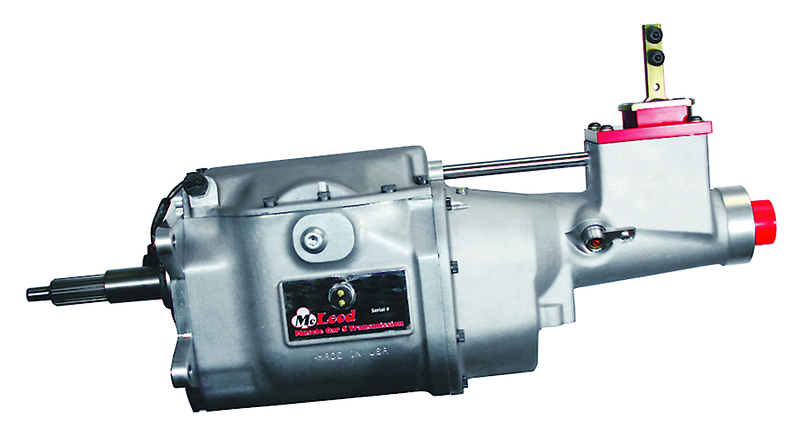 The McLeod Musclecar 5 Five-Speed Transmission is made in the USA and carries a 1 year/12,000 mile warranty.